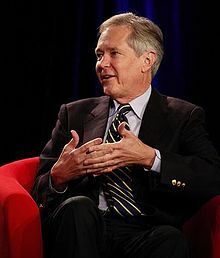 This week The Atlantic and APM’s Marketplace announce a new joint reporting project, “American Futures,” documenting life in small towns and cities across the country, spearheaded by James Fallows, national correspondent for The Atlantic and a pilot, and his wife, the linguist and author Deborah Fallows. The couple has traveled extensively both abroad and in the U.S. with particular interest in small towns and areas that are not necessarily tourist destinations. Fallows spoke about the project at the Esri User Conference 2013 in San Diego in July. For this project, they will travel from one small-town airport to the next in their propeller-driven Cirrus SR-22 airplane, spending time in towns and cities that are off the beaten path of most people. Kai Ryssdal, host and senior editor of Marketplace, and his team will report from various legs of the trip.